Over 20 new trees in Southern California have been confirmed HLB-positive. The new finds raise the total number of trees with huanglongbing disease found in California to around 100. All of the trees found in the state have been located in residential areas. 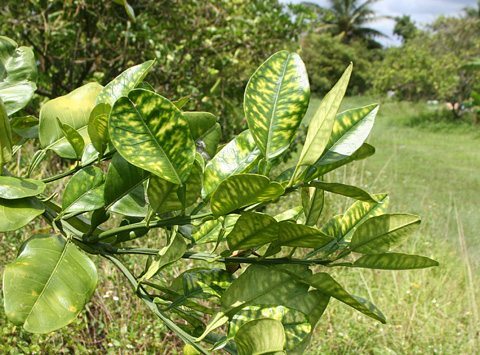 The Citrus Pest and Disease Prevention Program (CPDPP) issued a press release that stated 21 trees in Anaheim, and four trees in Pico Rivera tested HLB-positive. The CPDPP, a program of the California Department of Food and Agriculture (CDFA), stated the current quarantine in Southern California would be slightly expanded in Orange and Los Angeles Counties. The new detections were found due to intensive surveying that’s part of the response program. Highly trained crews sample trees where HLB-positive Asian citrus psyllids have been found. CDFA says their Sacramento facility can process 10,000 samples a month. All of the detections in California have been residential trees. The CPDPP is currently running an outreach program that involves public service announcements, coordination with officials, and large public events in the quarantine area. The goal is to educate residents on the disease and the insect that spreads it. Go to the CPDPP website to find out more about the disease, insect, and quarantines.